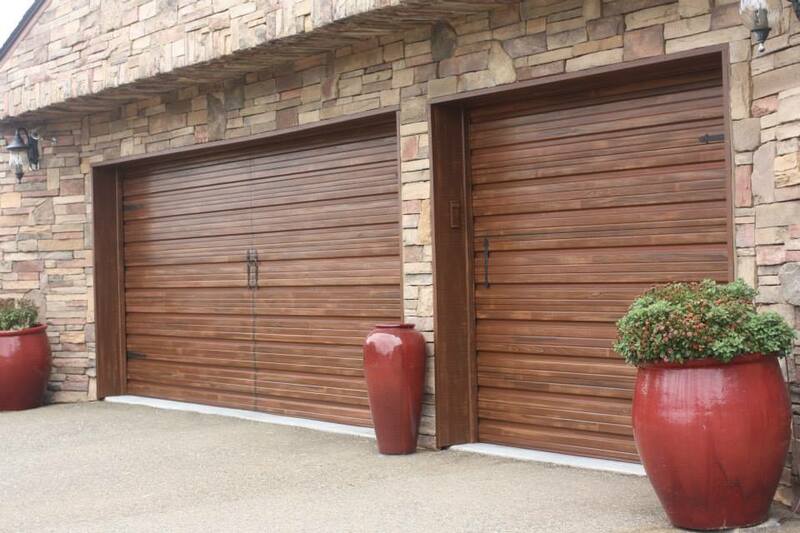 When we recently got the new wooden gate for our home, we started thinking we need to dress up the garage doors. It's the first thing you see when you drive up. Not my favorite thing, but that's how it was designed. I prefer garages off to the side. We looked into replacing our garage doors with new ones....the carriage look. We got several bids and looked into Costco too. We didn't want to go with wood, because our garage doors are exposed to full sun all day. 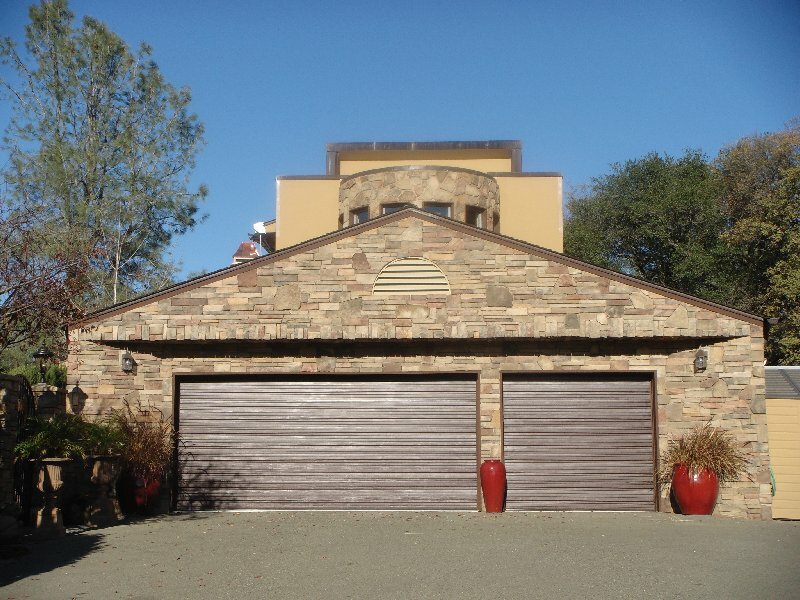 Our garage doors are more of a modern design with horizontal panels. I research Craig's list and found some faux painters. We decided to go with Irina, from IP Art and Design. She is very artistic and has a large gallery of photos. It's fun to see the before's and afters. You can find here on Facebook and here. Now, we have our new wooden gate and faux painted garage doors for more curb appeal. My husband added hardware to the doors to mimic carriage doors. He ordered them from Amazon. You did it..I think you lucked out w/ her. 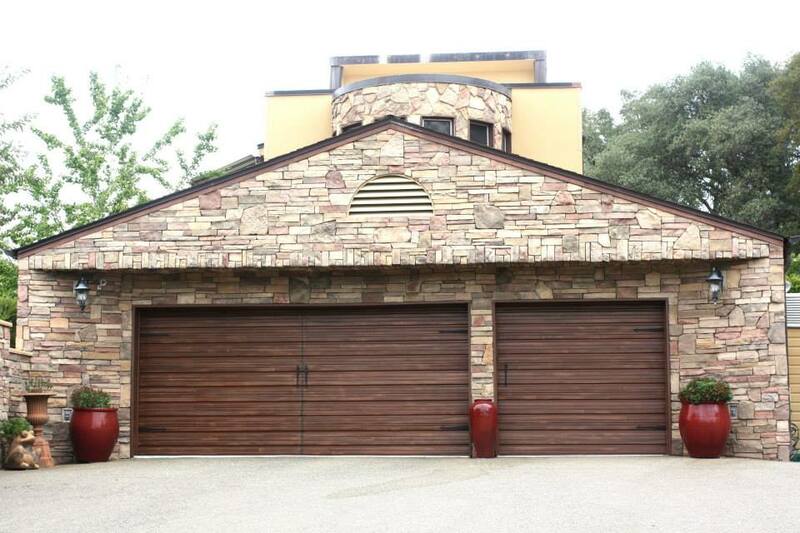 I don't ever think I've thought or uttered the words: that garage door is beautiful. But I am now. And it is. I love what the painter did with your garage doors! 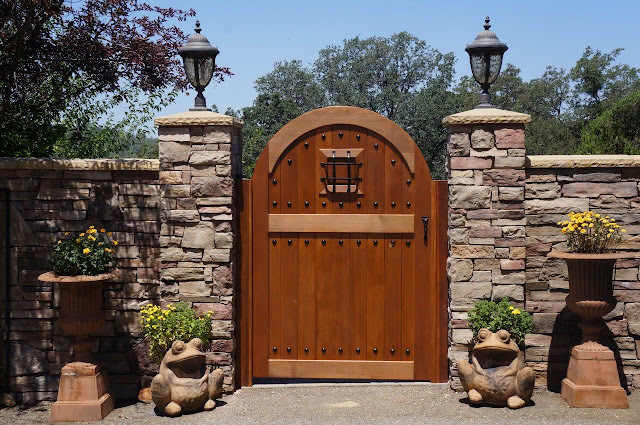 They look so good with your beautiful gate! 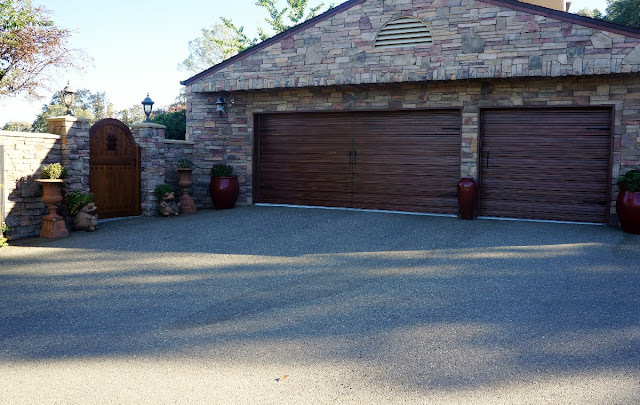 Wow Linda, your garage doors are so beautiful! You must be so pleased with the results. Your gate is gorgeous, also. You and your hubby take such pride in your gorgeous home. Your new garage doors are very nice, Linda. And I love that gate! I think those frogs add some charm to your home. Your home is so lovely. Well, I just took a tour of your home and it is beautiful Linda, and the grounds are magnificent! Such beauty and solitude. 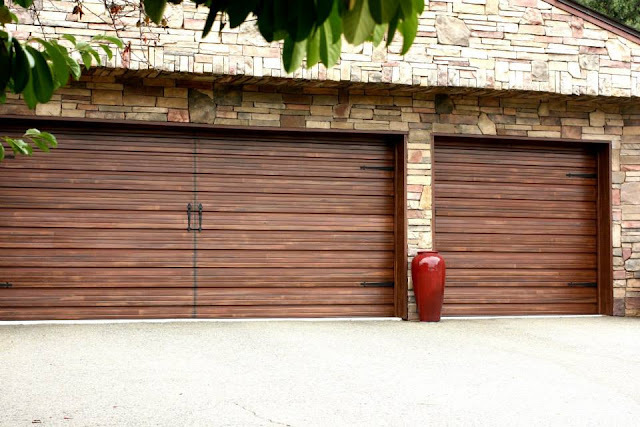 Garage doors are great and I like the hinges-these are all in style now-exactly what we are choosing for our home too. Oh, they are both so gorgeous! The hardware just makes it! That gate with the clavos is fabulous! How fun to have all of these great projects turn out so well! What a really great idea, Linda! I love the new look and how you pay attention to detail. Great job! What a difference! Your artist did a fabulous job, it looks like real wood now. Linda, Amazing!! I do have to say that the person you chose to faux paint your garage doors is a true artist. They are simply lovely. She did such a beautiful job, Linda! It flows so wonderfully with your gate. Amazing what they can do with paint now! I truly love your red pots. There is something about the combination of deep red and browns that is so comforting and welcoming. 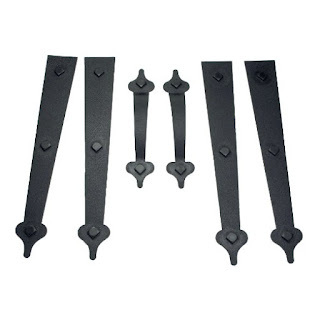 garage door parts Aod retail has their own manufacturing house they have qualified engineers for making ,casting materials to make spring, nut, bolts, even remote controller for opening and closing doors and cables also and they maintain quality everywhere. So for your any door parts you may order them online. comprehend that there is a blockage at whatever time they'd get a kick out of the chance to work the entryways. It is critical for the proprietors to remember certain tips while picking a warmer. He should guarantee that there is legitimate ventilation for the sort of radiator that will be utilized. What a fun, fun DIY project! Such creative ideas and easy to follow along. This was really helpful and broke down the steps so easily. I can't wait to try it out - thanks for sharing! I love it! It looks beautiful! Your home is just gorgeous. How long have you been there now? I can't even believe we will be here 6 years on Oct. 1!!! !